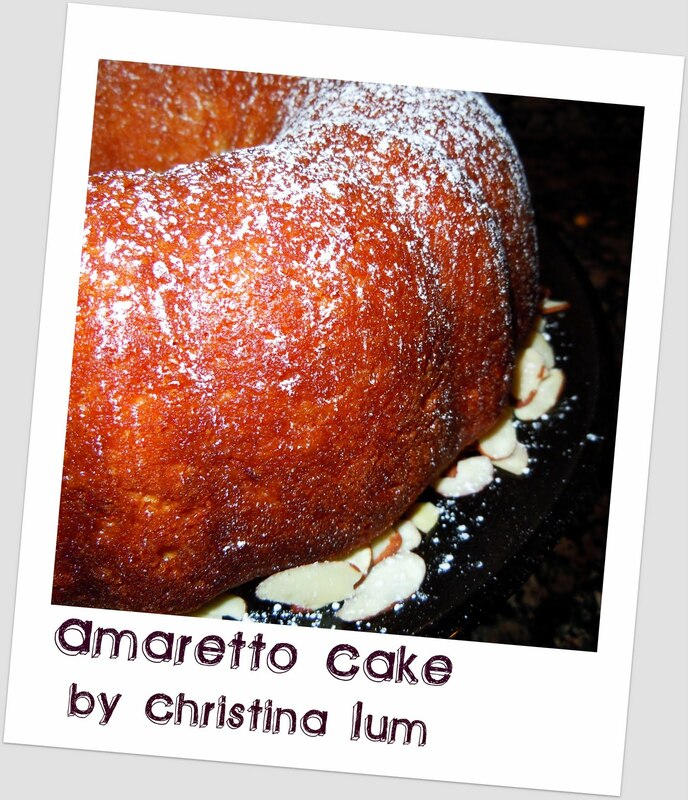 Today my dear friend Christina Lum, shares with us her wonderful recipe for Amaretto cake. Can you just imagine that? Perfect for a nice dinner this summer, what do you think? Note: Keep in an airtight cake pan for a few days before serving. The glaze should make the cake very moist -- that’s what you want! Oh, it’s sooo good! Saturday, We Have a Winner! I will Arise and Go to My Father.